The opening credits throw down a super psychedelic rock montage of old Superman cartoon clips which I felt would have been more appropriate to the more retrospective nature of All Star Superman. 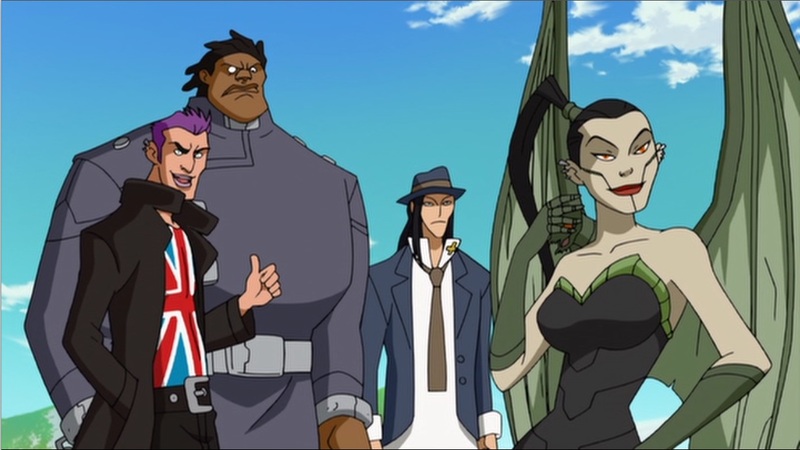 I think they were going for a British rock flavor since the main villain is British, but I don’t think the story had enough of a British focus to merit the theme. Whatever. More minor quibbling. You need no reason to have an awesome rock montage in my book. The real theme of the movie is a very important one to a character like Superman. It’s all about whether killing the bad guy is right. Superman never kills. It’s one of his defining traits. That trait may only have been a response to parents concerned about their kids being shown death as a good thing, but it’s very important to the character. It needs to have a real explanation in the story, and that’s just what this film does. You may not agree with Superman, but that’s not the point. The point is that Superman must believe in it, and justify that belief, otherwise the character makes no sense. The film sets up this issue by introducing a superhero group called The Elite. They team up with Superman, saving lives from terrorists, and the first half of the film they are allies of sorts against the villains of the world. But the title of the film gives away the next part of the story. The Elite are more than happy to kill the bad guys, and that philosophical difference leads to an eventual showdown. The creators could have been heavy-handed about all this. It could have turned into a sappy, preachy, after-school special which would have ruined the whole film’s credibility. Instead, it stays focused on the characters, which serves the film well by making the action scenes more important. There’s a lot of fun action over the whole film. 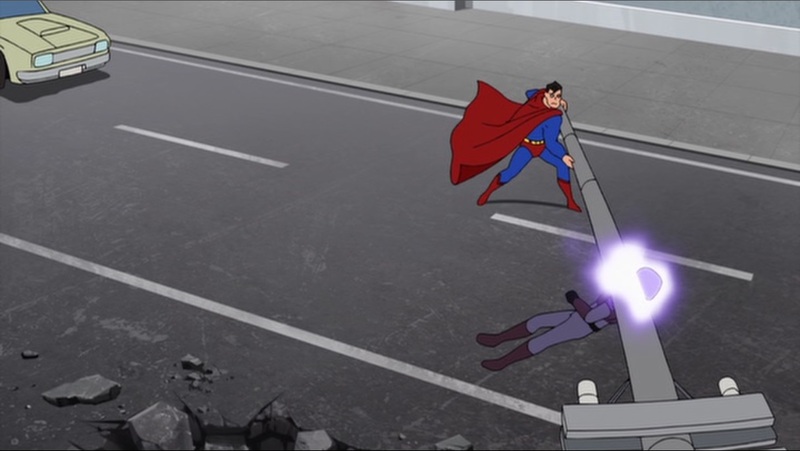 And who doesn’t like watching Superman slap around bad guys with a telephone pole? But even though there are a lot of characters flinging superpowers around, it never falls into the confusion of Public Enemies‘s giant assortment of random characters. In that film, no one was there for anything other than to have a giant brawl. Sure it’s fun, but the action in Superman vs. the Elite is just as much fun, and has nearly as much variety. It also has characters that you come to know over the course of the film. Sure, they don’t have a lot of depth, but there’s just enough to make their battles mean something more than just a simple dust-up. The outcome is actually significant. The whole story is rather well done. It’s one of the best animated DC films out there, although I would put a few of the Batman films higher. There’s an occasional minor plot hole, like the guy who has the power to knock Superman unconscious, but for some reason he doesn’t use it in their big showdown. The ending is a bit predictable as well, but all of this stuff is too minor to worry about. 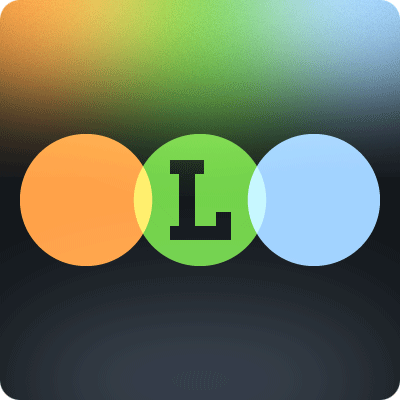 It’s a good story with good execution, and it’s well worth watching. I agree that the story is well done (as is all of DC’s latest animated features), but I just can’t find myself loving the Superman films as much as the Batman ones. I know I’m bias with my built in Batman love, but it still raises any and all expectations for the other films. I have a bit of a Batman bias myself, having grown up with the animated series. Of course having Frank Miller stories to adapt helps out a bunch too. 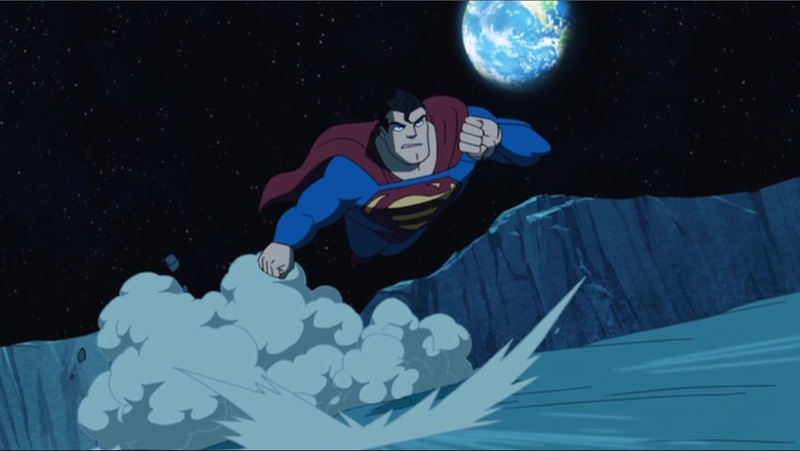 Still, this is certainly the best Superman animated film I’ve yet seen. You should pick up the comic the Elite first appeared in, Stephen, it’s one of the best of the post-Bryne Superman stories. I mean it, it’s that good. I haven’t watched this toon yet (I don’t plan on it, largely because I hold the comic story in such high regard I want nothing to sully it) but it sounds like a lot of the darker elements of the story have been stripped back to accomodate larger action sequences…. And Pauley Perette is the last person I’d have thought of for Lois Lane’s voice, to be honest. I can understand not wanting to see this. I get really confused watching the Hellboy movies. They’re so completely different from the comics that I can’t process them. While I can’t comment to how well this adaptation went, other DC adaptations have remained fairly true to their origins. The Batman Year One film put almost 100 pages of comic book into about the same runtime as this film, expanded the action scenes and made only minor alterations to the story, editing out very little. So I imagine they had to add a lot rather cut anything back with just one issue to work from. Not sure how dark the comic went, but the Elite were not nice guys here. They torture people, they assassinate people, and they effectively lobotomize an alien to make it a more docile slave, which I thought was more dickheaded than anything else they did. It might also be worth mentioning that the guy who wrote the comic, Joe Kelly, was also the writer for the film version.